1. 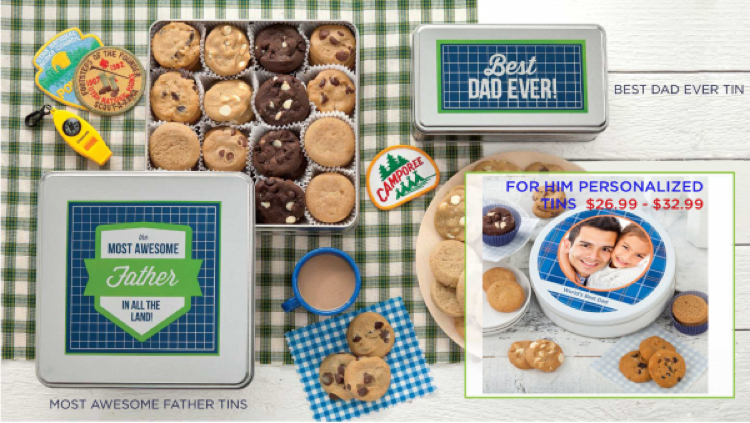 Father's Day is just around the corner! Call us at (626) 280-6040 for details on customized specialty gifts from Mrs. Fields Cookies. 30 % OFF on select items. We can do direct drop-ship to individual locations or bulk shipment to one location. 2. Receive FREE Return Address printing on your mailing envelope with any Social Invitation exclusive by Birchcraft. Offer expires on June 30, 2015 excluding freight and shipping. Custom order extra. 3. Getting Stuck on your Marketing Effort? Is getting a new client becoming a rut? Call us at 626.280.6040 to setup an appointment for a FREE anaylsis & consultation on one-on-one, targeted marketing (worth $250). Then, RECEIVE a 5% discount off of the total invoice excluding postage cost. 4. Also, RECEIVE a 5% discount when you utilize EDDM (Every Door Direct Mail) Program. Discount amount excludes postage cost. Postage cost as low as 17.5c! Better yet, there's no cost in acquiring any mailing list as we utilize Postal Service Route.